I know, I know. I've been posting a LOT of cookie recipes on here lately! Sometimes I just get in a cookie phase and cannot be stopped, what can I say. 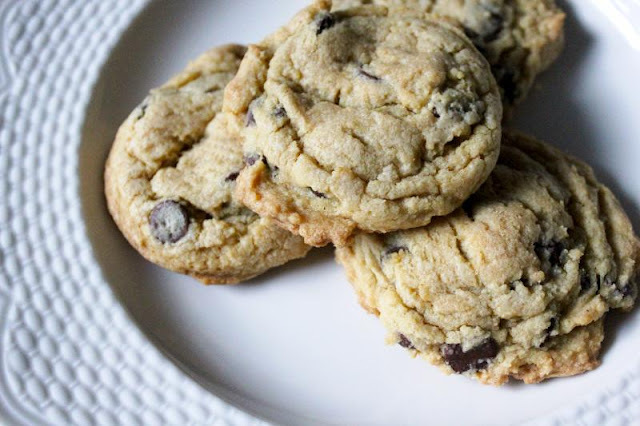 These particular cookies are a take on a traditional chocolate chip, which I have made many varieties of as well. These are one of those ones that are no fuss and pretty easy to whip up on a weeknight if you're just really craving some chocolate chip cookies. Which, let's face it, is most nights. And these cookies are a great solution. Because, um, yum! They are really some of the best quick chocolate chip cookies out there that I have tried. You should try them too, for reals. What's nice about the pudding mix in these is that it sort of acts in much the same way that cornstarch does, but adds in an extra touch of flavor. It keeps the cookie from spreading too much, and makes it so you don't really need to refrigerate it. 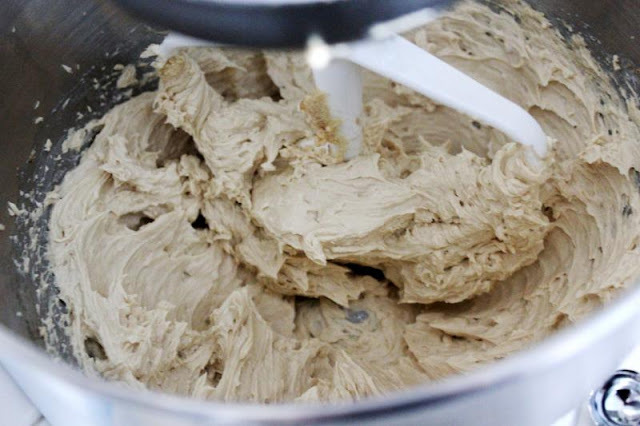 The original recipe says you absolutely must do so, and normally I would agree, but when the dough for this came out as being rather stiff to begin with, I decided to give it a try as it was. And the cookies turned out just fine. They did not spread all over the place at all. In fact, they stayed in just the right size. So, I say you can skip the refrigeration this time. I also only put in half the amount of chocolate chips that the original recipe called for. If you're super into chocolate, go ahead and double that up, but personally I like to have a little higher dough-to-chip ratio in my cookies. But everyone is different. Feel free to mix these up as you choose! 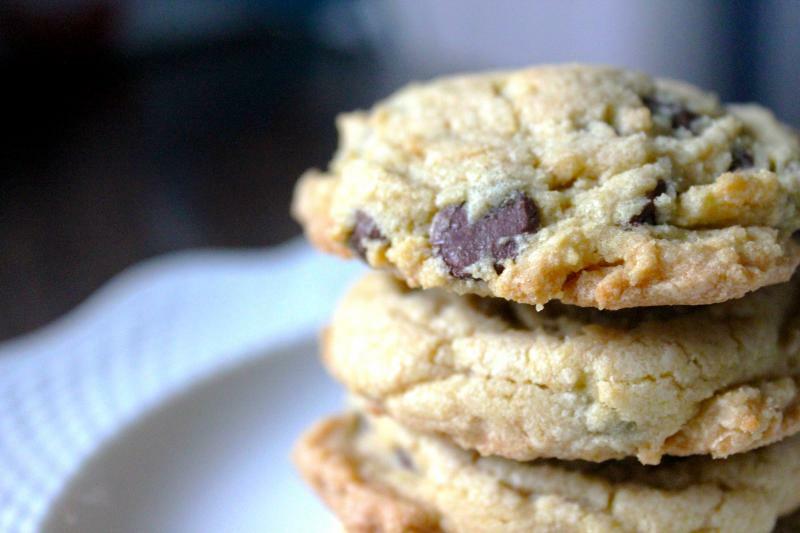 An easy weeknight chocolate chip cookie recipe that doesn't require refrigeration! 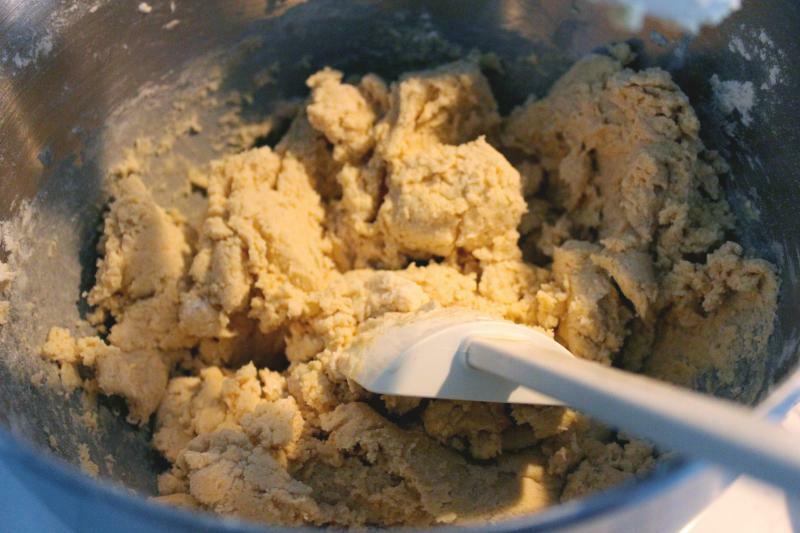 In a mixer, beat together the butter, sugars, egg, and vanilla on medium-high speed for about 4 minutes until creamed and light. This is easier with a stand mixer, obviously. Scrape down the sides of the bowl, then add in your flour, pudding mix, baking soda, salt and beat on low speed until just combined, maybe a minute. Scrape again and add in your chocolate chips. I usually do this by hand, but you can use your mixer if you like for about 30 seconds. On a parchment or silpat-lined baking sheet, scoop out your mounds of dough into cookie shapes. You can refrigerate if you want, however I do not find it necessary with this recipe. 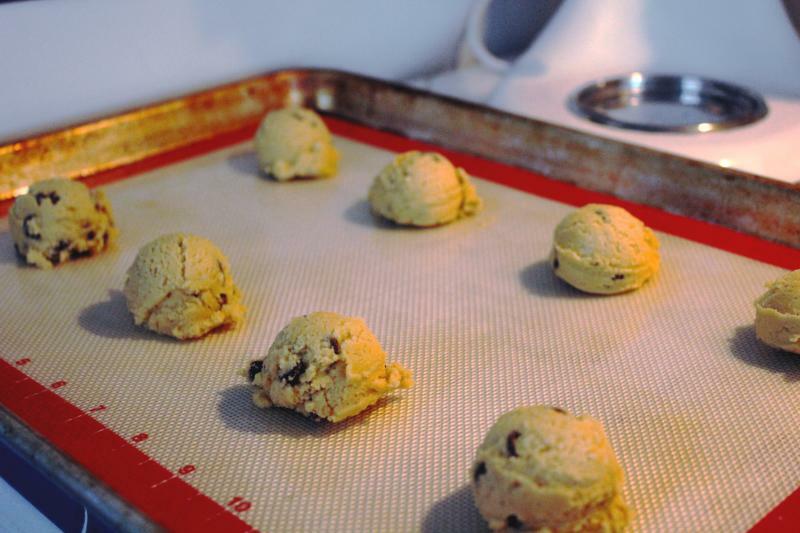 They will form very much like how you place your dough, so if you want it perfect-looking, make sure you don't have any stray bits along the edges of your cookie mounds. Bake for 11 minutes until the edges just start to brown and the middles are just set, then take it out and let it sit on the pan for another 10 minutes to finish cooking the insides. Remove to a wire rack and get another pan going! Mix together your butter, sugars, egg and vanilla for four minutes until it looks light and creamed like this. Next, your dry ingredients - flour, vanilla pudding mix, baking soda, and salt. Mix until just combined, about a minute. 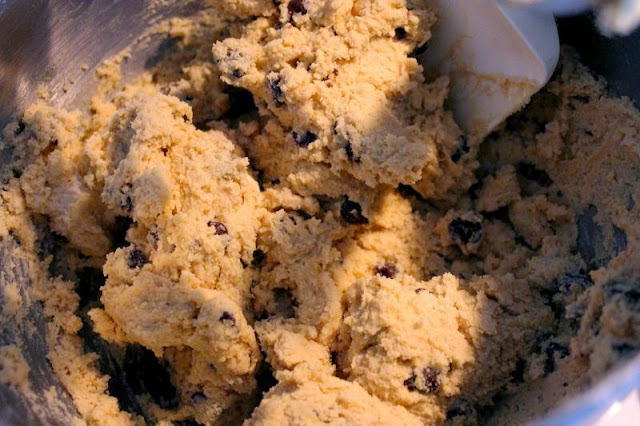 Now mix in your cup of chocolate chips. You can put in more if you like, but I like more dough to chocolate in my cookie ratios. 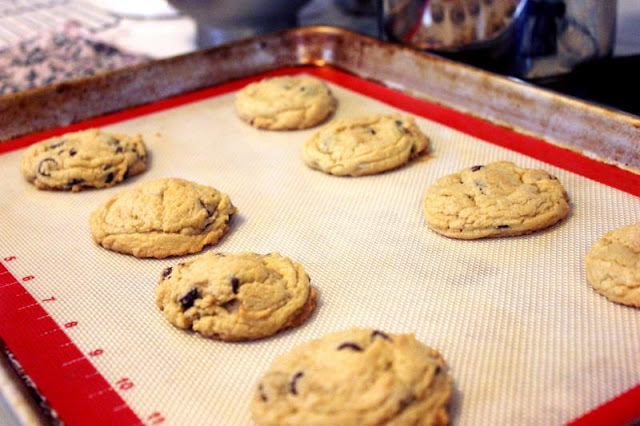 Plop those out onto your cookie sheets. You can actually fit another row, which I did on the subsequent sheet. After 11 minutes, take them out and let them rest on the sheet for another 10. So good, you can't resist having more than one!